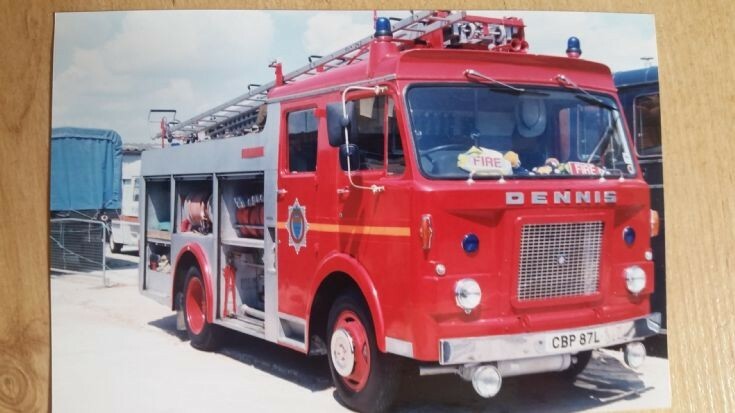 Sorry to hear that Dennis D CBP 87L has been scrapped, having been saved initially. This is a scan of a picture taken at Shoreham Airport on July 1st 1997, when the appliance was part of the Thomas family collection of vehicles, which for a while were displayed adjacent to the historic terminal building at the airport. At this time it was in fine condition and well stowed with equipment as the open locker shot shows. Also on site at this time was West Sussex Dennis R OTR 211S (Shoreham, Arundel & East Preston) which I do not think has survived either. Added by Andy Mills on 17 October 2018. Great D Type (was once anyway) found a 50cm long craftsman made metal model, would really like a Dennis RS OR Dennis D Type made the scale if I could find the craftsman?? Added by Roy Moore on 07 November 2018.